Neurosis’ SCOTT KELLY and Yakuza’s BRUCE LAMONT will join forces later this Fall for a special stretch of US live dates. Set to commence November 10th in Detroit, Michigan, the pair will traverse eleven cities, with the trek coming to a close on November 21st in Pittsburgh, Pennsylvania. Both Kelly and Lamont will be performing material from their respective solo projects as well as tunes from CORRECTIONS HOUSE. SCOTT KELLY (Neurosis, Corrections House) will deliver his signature hymns of pain, reflection and redemption with tracks off his solo outings — the bleakly atmospheric Spirit Bound Flesh and starkly minimalist The Wake as well as The Forgiven Ghost In Me album, released in 2012 under the moniker SCOTT KELLY AND THE ROAD HOME and tunes from the moving Songs Of Townes Van Zandt collection as well as newly recorded numbers to be released next year. With a sound that’s at once soulful, morose and healing few artists can manifest with such devout sincerity, when KELLY sits quietly, with his guitar, there’s rarely a dry eye in the room when he bows out at the end. 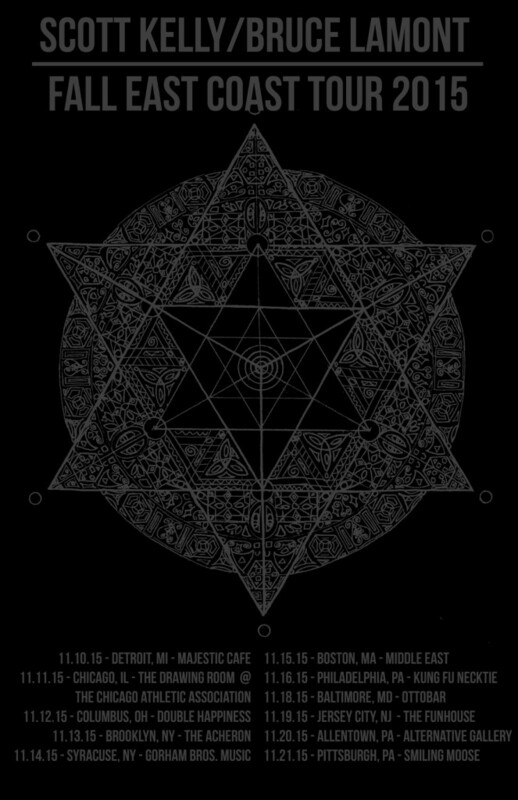 In addition, both KELLY and LAMONT will unite each evening following their respective sets to deafen the masses with renditions of various CORRECTIONS HOUSE hymns. CORRECTIONS HOUSE – which features within its ranks KELLY, LAMONT, Sanford Parker (Buried At Sea), Mike IX Williams (Eyehategod) and recently institutionalized minister of propaganda, Seward Fairbury — unleashed their long-awaited sophomore full-length, Know How To Carry A Whip, TODAY via Neurot Recordings. A nine-track, forty-five-minute exercise in sonic indecency, the record was captured by Parker alongside Fairbury in a subterranean bunker complex in Vietnam and dispels a disconcerting air of danger, paranoia and looming defeat marked by an inexplicable sense of catharsis.